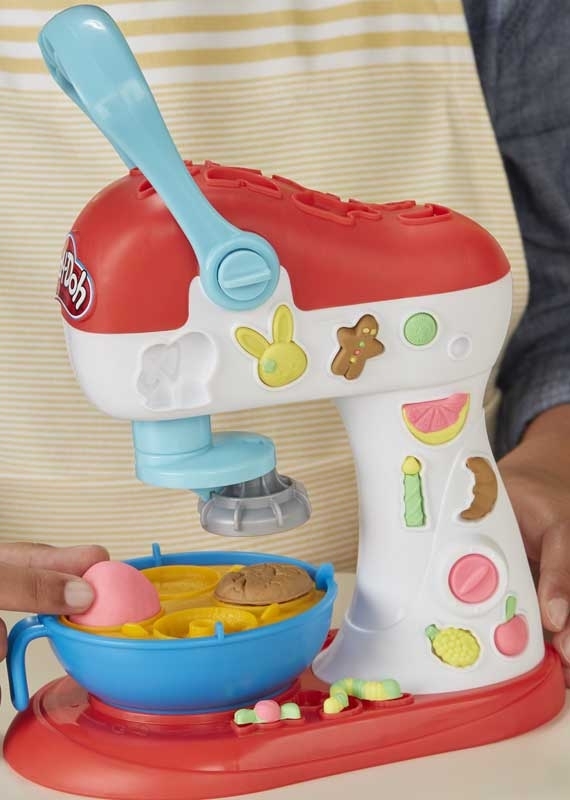 For crazy cupcakes and colorful Play-Doh cookies, junior bakers can make the most creative pretend treats ever with their very own mixer! 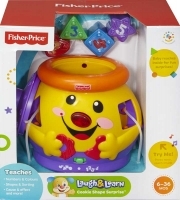 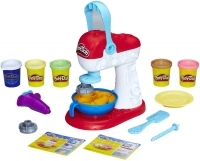 With the removable bowl and 2 stamp attachments, there are lots of fun combinations. 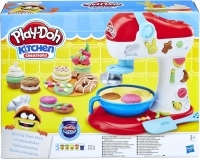 To start, choose a cookie or cupcake stamp attachment, add some Play-Doh compound, press the handle, and voila! 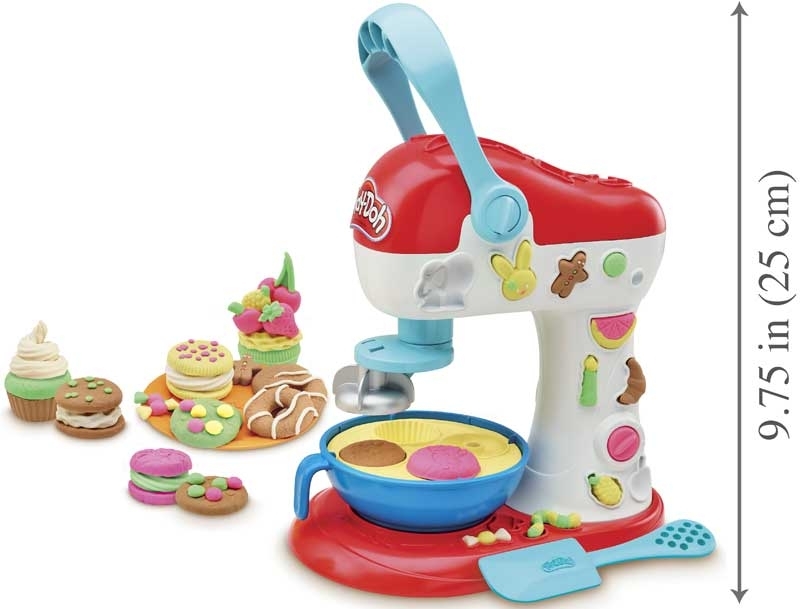 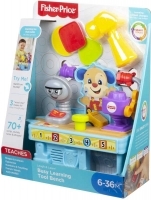 The mixer spins and stamps 2 pretend cookies or cupcakes at a time. 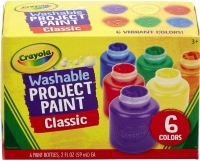 Now it's time to decorate! 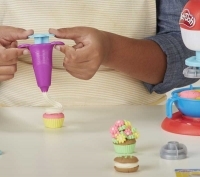 Use the frosting tool to cover the creations in fluffy Play-Doh Plus frosting. Shape lots of silly candies and other fun toppings with the molds around the mixer. 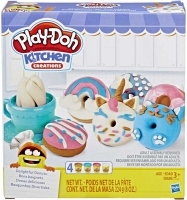 For inspiration, the creation cards show how to make even more creations like silly strawberry shortcakes and make-believe macarons. 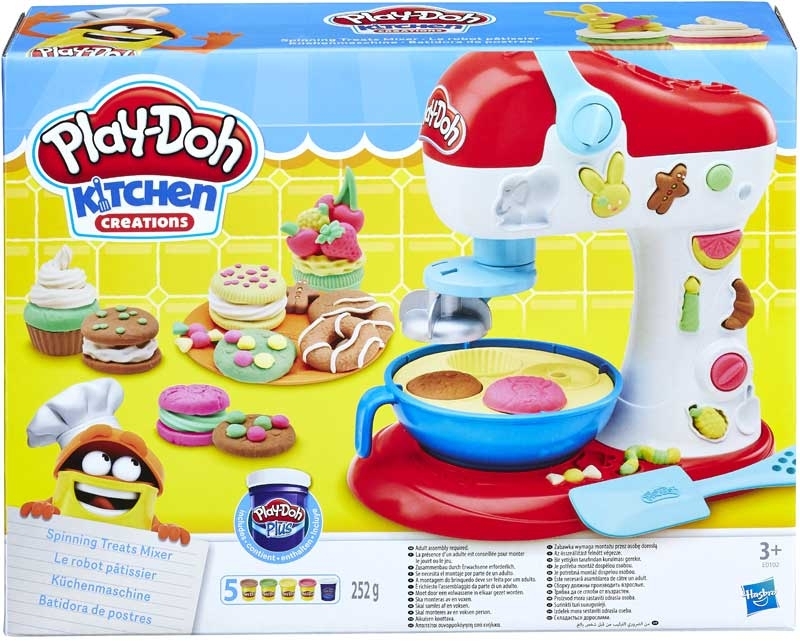 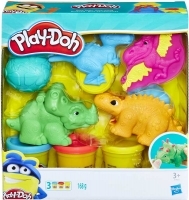 With Play-Doh Kitchen Creations, the best ingredient of all is imagination!